Deadpool 2 adds a new cast member, plus see Brolin building his Cable body! 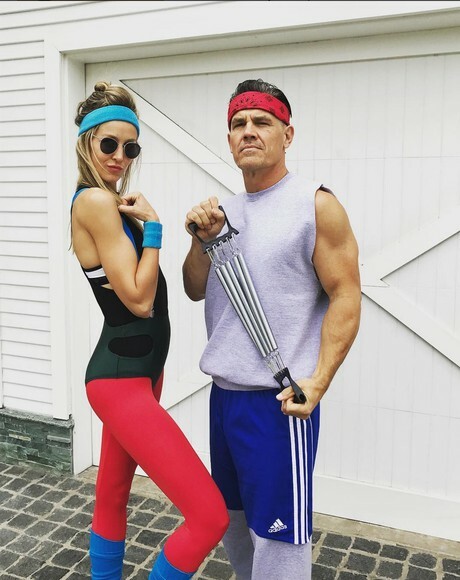 1) Josh Brolin's hard at work pumping up his body to play muscleman Cable. 2) Ryan Reynolds is binge-watching Golden Girls Re-Runs. 3) The production is filling out its already impressive cast. Today we have evidence of two of those three things. Sadly we just have to assume Reynolds is mainlining the timeless brilliance of Rose, Blanche, Dorothy and Sophia's elderly antics, but to make up for that Deadline tells us that a new face will be joining the group. Japanese actress Shioli Kutsuna will appear alongside Reynolds, Brolin, Zazie Beetz (Domino), Morena Baccarin, Leslie Uggams (Blind Al returns! ), Stefan Kapacic (Colossus) and Negasonic Teenage Warhead herself, Brianna Hildebrand. No word on the character Kutsuna will play, but she's signed, sealed and delivered. That's great and all, but the best little tidbit in his instagram is this photo he took of the outfit he settled on for a friend's '80s themed birthday party. Richard Donner's still with us. Let's get The Goonies back together! Where's my Whitehouse.gov petition for that?